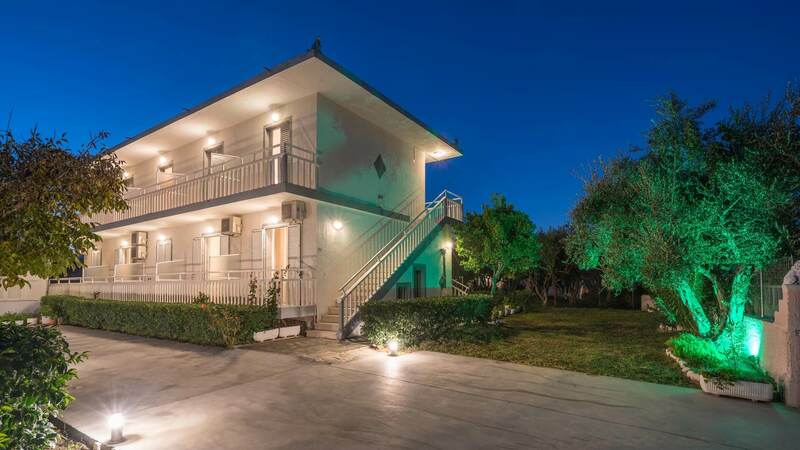 The fully renovated Nastazia studios are situated in Laganas, the largest tourist resort on the island of Zakynthos, only 700 meters from the popular namesake beach and a 10 minute walk from the main strip where you will find many shops, restaurants, bars, taverns and everything you may need during your stay. 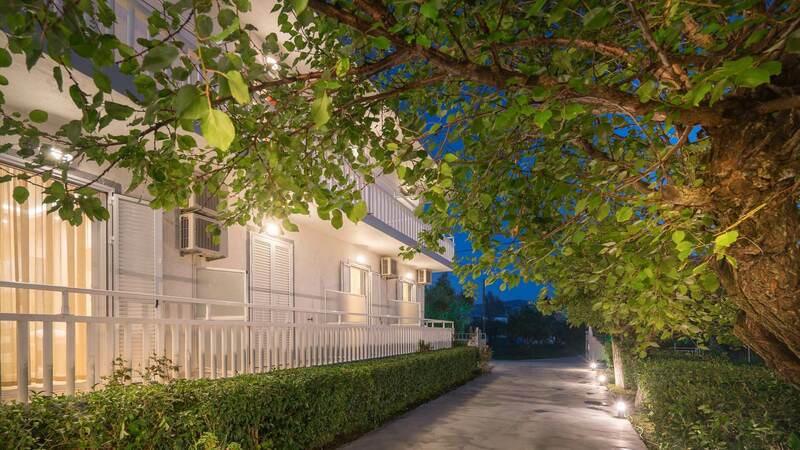 Whether you like to spend your time on the sandy beach, at the neighboring swimming pool or have fun at the bars and night clubs on the main road, this is the ideal holiday destination for you! 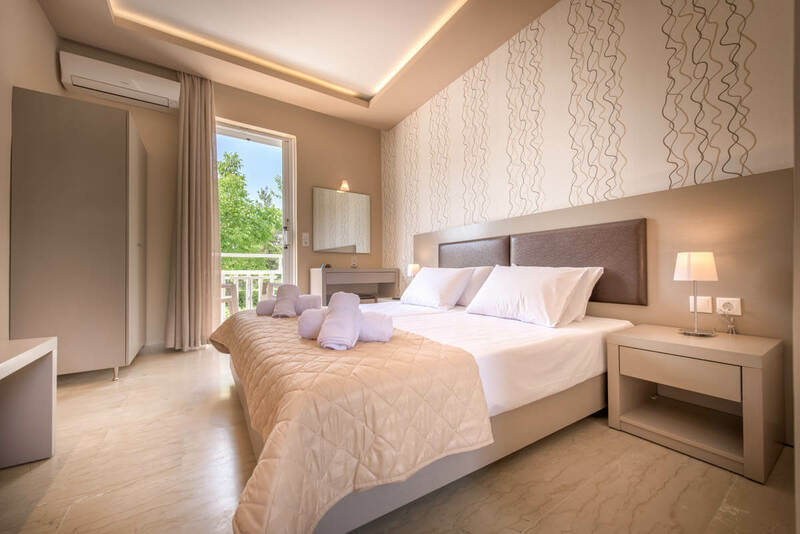 Laganas is one of the most well known tourist resorts on the island of Zakynthos as it features many night clubs ideal for partying up to the early hours. The resort is also famous for its long sandy beach with shallow waters as well as the Marathonisi Island, also known as Turtle Island. Rent a boat and visit this uniquely beautiful and untouched island with the white sand and amazingly blue and clear waters where the endangered Caretta Caretta turtle frequents and lays its eggs.